The M-15-SC-A Apex Brand Hand Driver With Self-Contained 1/4'' Bits is one of thousands of quality tooling products available from MRO Tools. Please browse Apex Hand Drivers for tools similar to the M-15-SC-A Apex Brand Hand Driver With Self-Contained 1/4'' Bits. 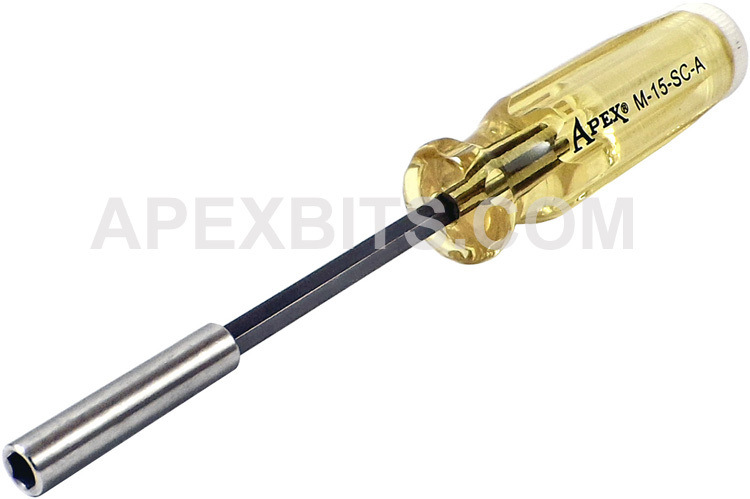 M-15-SC-A Apex Brand Hand Driver With Self-Contained 1/4'' Bits description summary: Apex brand drivers with self-contained insert bits. Female Hex Size: 1/4'' Overall Length: 8 1/2''/ 216mm Blade Projection: 4 3/8''/ 111mm Quantity discounts may be available for the M-15-SC-A Apex Brand Hand Driver With Self-Contained 1/4'' Bits. Please contact MRO Tools for details.